Badminton players would know just how intense the sport can be. 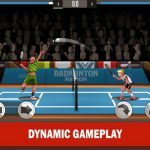 FreadBear Games’ new title Badminton Stars! takes that intensity to mobile devices by letting you play action-packed matches. Don’t let the cute graphics fool you. The game requires unwavering focus and lightning-fast reaction times. 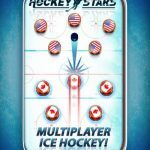 The one-touch controls make it easy for anyone to learn, but mastering the game is a different thing altogether. 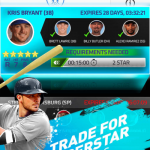 You can hone your skills in the multi-level challenge of the Single Player Campaigns and play in the World Series Tournament. 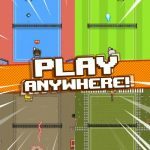 Once you are confident enough, you can face off against some of the best players from around the globe in asynchronous multiplayer battles. What’s the point of playing if you don’t get to take home prizes, right? Fill up your virtual home with various items and trophies to show off to your friends. If you are struggling to win matches, you can always check out on our Badminton Stars! cheats, tips and tricks for some help! In order to hit the ball, you will need to tap just as the shuttlecock hits the center of the circle. If you are successful, you will get a Perfect hit. Try to get the Perfect hit as much as you can because it has the highest chance of causing your opponent to miss. Make sure you tap before the shuttlecock reaches the inner circle, otherwise your tap will register too late and you will most likely end up missing the shot. It takes a bit of practice to get the timing right, but once you have it mastered, winning games will be easy. One of the unique things about Badminton Stars! is that you can actually adjust your character’s stats. You are given a default layout to start with, but you can allocate skill points as you level up. If you have the money, you can also buy more skill points. Depending on your play style, you can go for a balanced build or a highly specialized one. Don’t worry if you are not sure about what you need. You can change your stats by tapping on the sliders at any time. Just deduct points from one category to add them to another. Keep experimenting until you find what works best for you. We have listed the different stats below to help you understand them better. Speed – Helps your character move faster but does not really help with much. Power – Determines how hard you hit. This also does not help you out as much. Aggression – Makes your shots difficult to return, increasing the chances of scoring. Accuracy – Increases the size of the Perfect circle, making it easier to hit. The water bottle is your energy in the game. If you are out, you won’t be able to play. This slowly regenerates over time, so you just need to wait. Of course, an alternative is to use the time-skip cheat to get rid of the wait time altogether. Just head into the date and time settings of your device and set it forward by one hour. Log back into the game to see that your water bottles have been replenished. You can then set the correct time on your device without losing the water bottles that you earned. Once you have unlocked your super move, make sure you use it as soon as it is available. Keep in mind that you will still need to execute your super move properly. If you don’t pay attention, you will end up wasting your super move for a turn. You also have two power ups that can help you win games. The first maxes out all your stats temporarily. The second makes all your shots Perfect. While these sound like awesome deals, you should remember that they are consumable power ups. Use them only if you are really struggling to win a match. Get ready to get smashing in Badminton Stars! Don’t forget any of the cheats, tips and tricks listed above if you want to win every match! If you’ve come across additional hints, don’t hesitate to let us know below in the comments!